JuJu’s Big Adventure, Episode 2: License to Thrill! JuJu was having a bad day. It all started the night before when his mom locked him out of his apartment. She said it was an accident. He had to leave his precious bicycle outside. Of course he locked it up. JuJu is a responsible boy. But sometimes just a lock isn’t enough. As fans we get caught up with our teams fortunes, for good or ill. This is what makes it fun, of course, but some of us take it way too seriously. 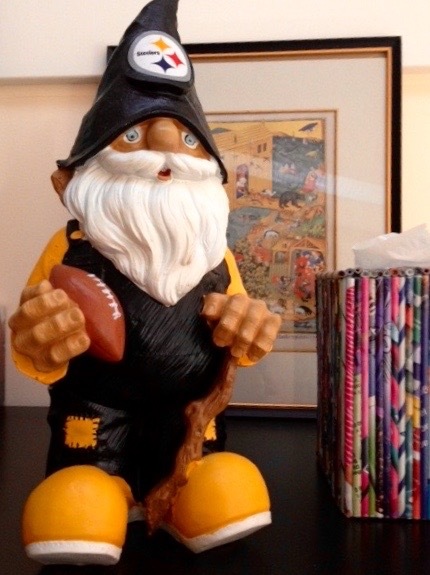 Take my Steelers garden gnome Stonn. The picture at left is Stonn, proud and free, in the early days of last season. The picture below is Stonn after the Steelers were eliminated from the playoffs. I kid you not. Stonn resides on top of the bookcase next to my desk, angled just precisely correctly for maximum mojo. So imagine my surprise as I came into my office a few days after the Steelers lost to the Broncos to find him face down in my paper recycling bin. His little hat was broken off, laying pathetically on the floor. I have no idea whether this was attempted suicide on his part or whether he was pushed, in a fit of temporary insanity, by Cato, my feline game-watching buddy. Cato is pretty laid back about most things, but he does take the Steelers quite seriously. Of course, Stonn could have fallen after consuming too much alcohol, but I have no idea how he would have gotten a hold of any, unless he and Cato were drinking together. Cato does, after all, have a good deal more mobility than Stonn, but he’s pretty short on opposable thumbs. 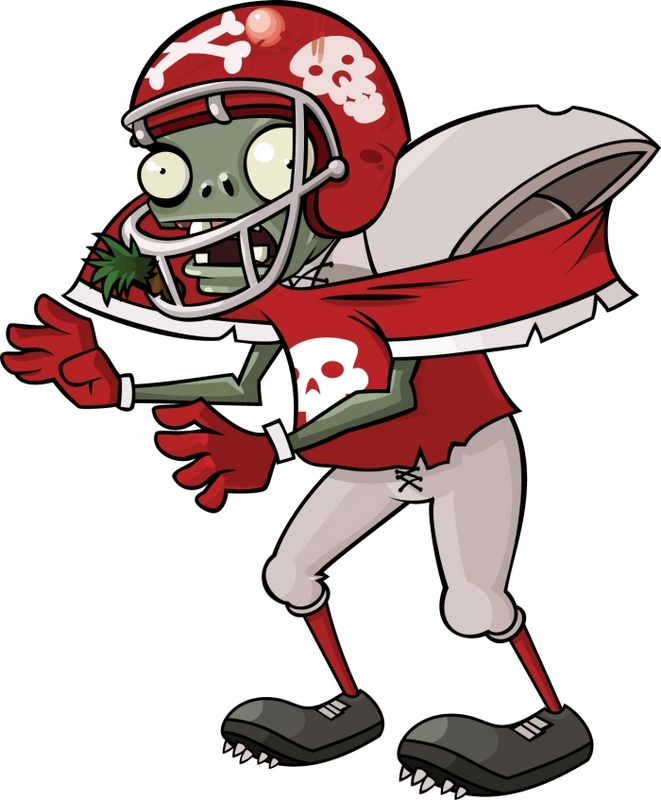 Roxanna Firehall’s Zombie Football Reader – Fat Tuesday edition. Full credit for the “Zombie Football” part of the title goes to Ivan, as coined in his fine series about surviving the the off season, linked here. The Super Bowl is over and we now enter the dark days of the year where “experts” both real and imagined (almost entirely imagined) make stuff up or just say stupid sh*t because they need to draw readers and there isn’t anything else to talk about. While I was aware of this phenomena, Ivan induced me to pay closer attention and actually take notice, even before the Super Bowl, of the types of stories which start to appear in the long soulless void between now and training camp. For your reading pleasure (scoff, scoff), I have assembled some of the more pungent examples for you. To render things a bit more palatable, I did discover a couple of good articles, while not all Steeler related, they were important articles which you might enjoy. Back when I wrote for Behind the Steel Curtain I received a rather apologetic email from the man who was then the editor asking me to take on the task of writing a sponsored Super Bowl food post. I assume he was apologetic because it did look a bit sexist to ask the only woman on staff to do the recipe article. And after all, there are plenty of women who can’t cook, and plenty of men who can. Most of the finest chefs in the world are male. And there was no reason to believe from anything I had written that I knew how to cook, either. So this post is not for those of you who have access to a Costco, which is stuffed to the brim with all sorts of lovely things you only have to heat up or put in bowls. 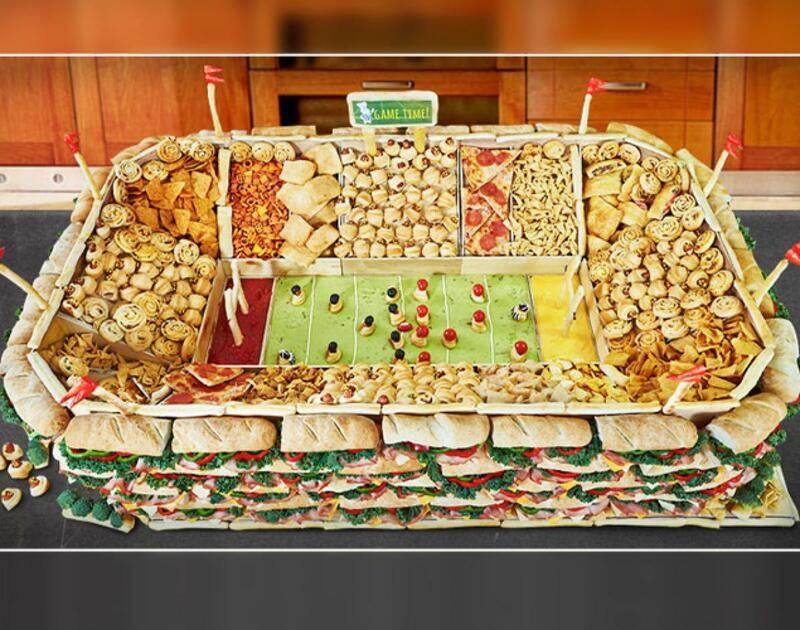 It is also not for the sort of person who would make the “Snackadium” pictured above. Nor is it for those of you whose idea of cooking doesn’t extend any farther than the sort of things contained in the Hacker’s Cookbook I saw many years ago.